Book your own "Perfect Storm" and save!! Experience "The Aspen Way" for yourself! Buy a minimum of 4 days, get a FREE adult lift ticket. Book 4, get 5. Book 5, get 6... You get the idea! Must be reserved in conjunction with Free Night of Lodging offer or comparable percentage off lodging rack rate. No ticket-only reservations. Receive a resort card with this promo for discounts on everything from dining to shopping. Once you combine these offers with our fantastic lodging offers, you'll see the savings mount up! Not only that, but you'll have all the ingredients for a terrific Aspen or Snowmass Holiday. Our Aspen Snowmass Travel Specialists are standing by & ready to assist you - Call today at 410-356-8100 and we will custom build you an unforgettable Aspen Snowmass vacation! Please go to the Aspen Ski Vacation or Snowmass Ski Vacation page to start your custom trip quote and to take advantage of this Hot Deal! 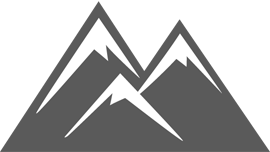 Ski Aspen Snowmass for $60 per day in April! Say "Happy Birthday" to Aspen Highlands and Buttermilk and YOU get the present! It's a 60th Birthday Party for Aspen Highlands and Buttermilk! Join in the celebration of sixty years at two of the world’s most iconic resorts with $60/day lift tickets! 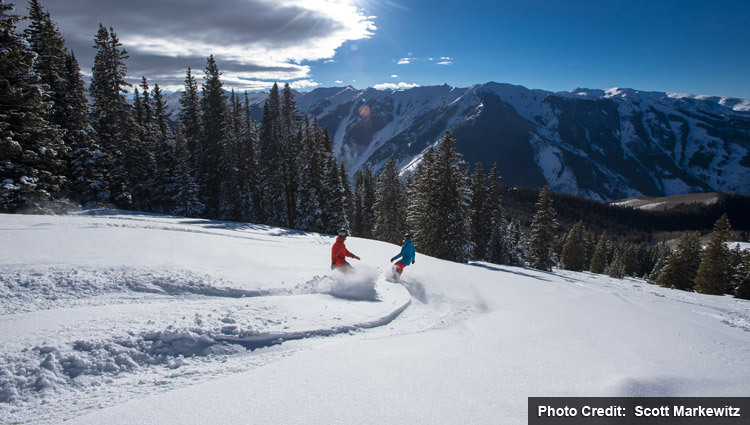 Buy a minimum of 2 days, get $60/day Aspen Snowmass lift tickets for any dates in April! Monday, April 1, 2019 to Sunday, April 21, 2019. Must be reserved in conjunction with a lodging package with SkiTDS. No ticket-only reservations. Must book at least 7 days in advance of arrival date. Pretty simple, and a great deal to boot. 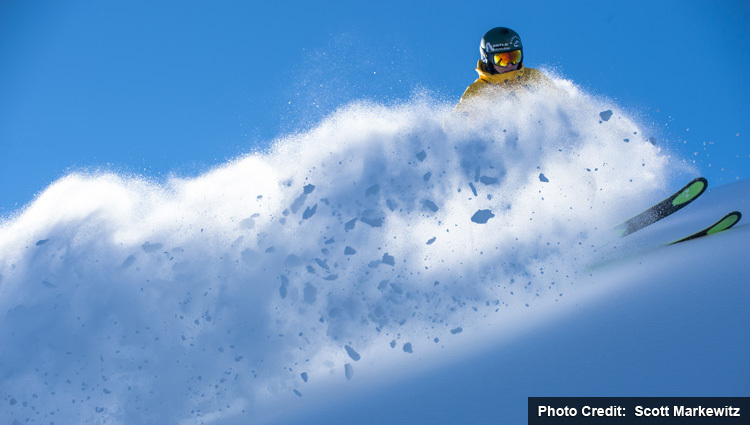 With lift ticket prices creeping ever higher, how can you beat $60 per day! Our Aspen Snowmass Travel Specialists at are standing by & ready to assist you - Call today at 410-356-8100 and we will custom build you an unforgettable Aspen Snowmass vacation! Or go to the Aspen Ski Vacation / Snowmass Ski Vacation page to start your custom trip quote and to take advantage of this Hot Deal! Nothing is more exciting than seeing the next generation of winter enthusiasts up on the mountain. To help make that happen, Aspen Snowmass has brought back their popular Kids Ski Free program for the 2018-19 ski season. 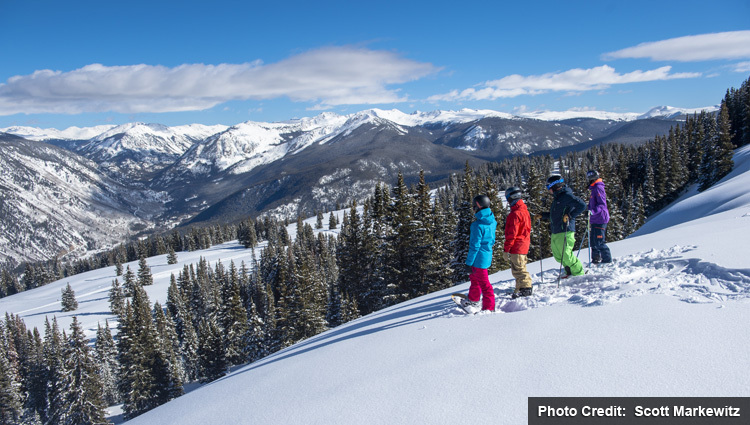 Simply rent kids equipment (ages 7 to 12) from Four Mountain Sports, and they'll get a free lift ticket. Kids will receive complimentary lift tickets for the same amount of days on their rental. Skiing and riding more often on the latest equipment is a sure-fire way to build up confidence on the slopes ... and possibly, enjoy it for a lifetime! Complete any online quote and the appropriate discount will be automatically applied. If you prefer, contact your sales representative for assistance and additional details at 410-356-8100. Please go the Aspen Snowmass Ski Vacation page to start your custom trip quote or fill out the form below to take advantage of this Hot Deal! Aspen Snowmass is a place where locals and visitors alike come together to enjoy the outdoors, culture, adventure and glamour. Four ski mountains on one lift ticket offer thrills when you need a rush and scenic groomers when you need to unwind. Off the slopes, the action continues with world-class apres ski, dining, arts and events. The identities of Aspen Mountain and the city of Aspen are intertwined. Both are rooted in a silver mining past, and both are forever moving forward in the pursuit of pleasure today. For visitors, joy can come in many forms here: excellent skiing and riding on the mountain, followed by world-class dining and shopping in town. When it comes to terrain, Aspen Mountain is unlike any other ski mountain in America, offering an abundance of options in a surprisingly compact space. A dash down the Face of Bell is a rite of passage for expert skiers the world over, while those in search of groomers can cruise down the same runs that hosted the 2017 Audi FIS World Cup Finals. When the day is done, watch the action on the mountain fade into town at Ajax Tavern, the iconic apres ski spot at the base of the Silver Queen Gondola. All images courtesy of Aspen Skiing Company. Restaurants: 5 total - Sundeck, Bonnie’s; Ajax Tavern, Chair 9 and element 47 at The Little Nell at the base.